1. Flower Power-Cauliflower is the next Kale! It’s time to get out my crystal ball and find out whats coming up in the gardening world for 2016. Traveling to lots of nurseryman’s and flower shows, cutting edge gardens, and keeping up with my blog, gives me a good handle on what is up and coming in the gardening world. Some of these are trends have been around and are still going strong, while others are just getting a foothold, like Cauliflower! According to the National Garden Bureau, 2016 is the year of the Carrot. I have to defer though to the rise of cauliflower, a cruciferous vitamin packed veggie, that has a unique ability to absorb flavors from other ingredients, rather like a chameleon. From cauliflower grilled steaks to peanut butter brownies, cauliflower has landed on top of the heap for a lot of people! Look at this great video on how to make the brownies. Luscious cauliflower brownies: The white is white chocolate, not cauliflower! I tested making these brownies and they were some of the most flavorful moist brownies that I have ever had! There is actually a shortage of cauliflower due to cold in California’s Imperial Valley and the high demand for this sought after vegetable. Last time I bought it, the price was $5 per head. I have grown it several times but it is always done in by cabbage pests before I get to harvest it. Maybe I’ll give it another whirl. Just ten years ago, Kale was not on the radar of the backyard grower. There were a few varieties which people planted occasionally, but now Kale is the “in” vegetable. In fact, Kale’s growth in the seed industry is “off the charts”. Farmers can’t keep up with demand. Personally, when I go to a nursery that sells seeds, Kale is usually sold out. Full of iron, vitamin A and C, Kale is the ultimate health food. Easy to grow, even during the winter, Kale packs a powerhouse of nutrients and is also a visually beautiful vegetable. Used in containers for color and texture, kale comes out on top of all the vegetables that I grow for no bother and “forget about it”. Virtually every month of the year, I am harvesting Kale! The ever-increasing interest and use of edibles in containers and in the garden is still up there. Think berries, fruit, and lots of kale. Okra is another super food that is coming into its own. Go to Okra-Superfood Superstar for more information on growing it. A beautiful new Kale variety I saw at a recent horticultural trade show was Kosmic Kale, a unique variety that has a cream-edged margin. When I first spotted it, I thought it was a new perennial, not a vegetable. I will be looking for this variety in the spring. What we put into our mouth and bodies has become increasingly important to the a generation of gardeners. er habitat for these canaries in the coal mines, then everyone benefits. One way to help out is to create a monarch way station to feed the monarchs on their long migration. Go to Monarch Way Station to see how to set your own up. Ordering milkweed plugs (tiny rooted plants) has become easy by going to The Milkweed Market . Order now to provide a safe haven for monarchs! Go to Got Milk….Weed? to check out the importance of growing milkweed. As anyone knows, when you have monarch caterpillars munching down on your milkweed, they can run out fast especially with aphids joining in, so you never have enough of the stuff! With the skyrocketing growth of deer and the distress of seeing your hard-earned cash become salad, people are demanding low maintenance deer resistant plants. More and more nurseries are setting aside areas that sell deer resistant plants to satisfy this huge market segment. Sprays and other deterrents cost money and aren’t very effective. Why not plant varieties that deer hate and forget about all those sprays? See my Deer Combat post for strategies on planting for deer, and What is Deer Resistant, Blooms in the Winter, and is Evergreen? for the ultimate deer proof plant – Hellebores. Hellebores are a hot perennial because of their resistance and I have to say in 20 years, I have never seen a deer eat one, so these must be deer poison! Hellebores have been the hot ticket for hybridizers and dozens of varieties have hit the shelves just in the last 5 years. Black ones are hot! Houseplants were big in the seventies and then went out of flavor for a long time. Back in favor now but with new smaller and easy to care for varieties, air plants or tillandsias fit the bill. Anyone with an apartment or windowsill can have a thriving plant kingdom with little effort. Green walls are popping up in homes, hotels and other indoor spaces, utilizing air plants and other houseplants. Providing a sanctuary of green living things and removing toxins from interior air pollutants, green walls are also a mood enhancer. Hotels have jumped on this bandwagon as providing an oasis away from home. Anyone on Pinterest or Etsy, knows about vintage gardening. The popularity of old tools, historic seed art, and the nostalgia of old-fashioned gardening has started an industry of eBay listings selling well-used and well made tools. I call it flea market gardening. Is it just me, but when I shop flea markets or goodwill, am I the only one who is looking for gardening stuff? I thought not! Vintage means less than 100 years old. Antique is 100 years or more. When I visited the Northwest Flower and Garden Show in Seattle this past February, there was an entire show area devoted to vintage gardening paraphernalia and I went crazy! See Vintage Gardening for my post. Just think- Leave It To Beaver meets Martha Stewart. Re-purposing is the name of the game. Seed packet art is really interesting and there are some funny ones as well as beautiful. Go to Seed Art to check out an interesting post on the history of this illustrative art form. Technology is often regarded as something that creates an artificial world, removing people from nature. To the contrary, however, technology is bringing humans into contact with wildlife and nature like never before. Wild turkeys, foxes, beaver, and coyotes, are very urban animals that have learned to live with man. 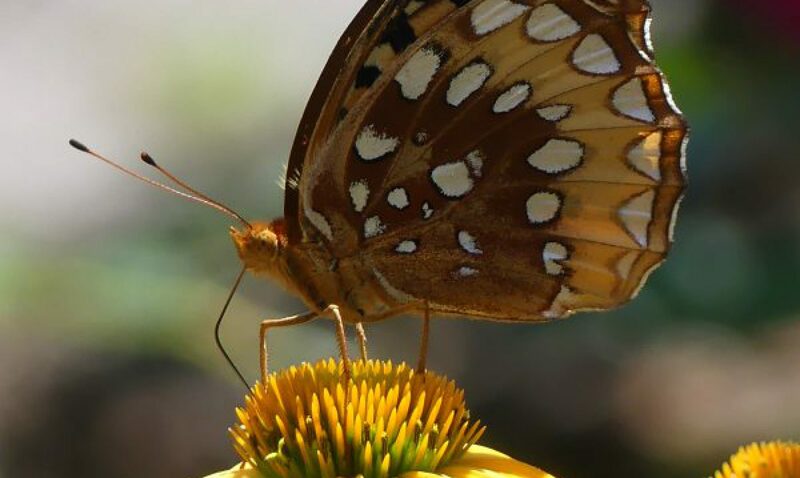 Home gardeners and conservationists are working on creating wildlife habitats for creatures, inviting them in to restored nature in their backyard and parks. And we want to watch and photograph them. Gopro cameras are enormously popular and are used mostly in the outdoors. Attach one of these to a bird feeder or the dog to get unique natural outdoor views. Or attach it to your mountain biker or skier. Beaver have become urban animals and have spread widely in the U.S.
Nowadays, we carry our phones with us everywhere, even sleeping, so why not bring it into nature with a purpose? For purists who say you need to totally disconnect while in nature to enjoy, I am of two minds on this. I do love a walk with my dog with no music or any other distractions so I can enjoy a calming green experience with no distractions. But I always carry my phone with me to catch an interesting photo, like the one above of beaver activity or use it as a trail map. If you want your kids to get out in nature, why not entice them with geo-caching? I have enjoyed this activity with my daughter where you search for a “cache” using coordinates with a GPS using your phone. Like a scavenger hunt in nature, it’s a lot of fun and gets kids engaged in the outdoors. Broodminder is another example of technology meeting nature. I purchased a “Broodminder” which measures temperature and humidity inside my bee hives and can be downloaded using my phone. Bee hive telemetry! Important measurements that can tell you a lot about your hive without having to leave your house and opening up a hive which can be disruptive to the colony. Instead of having acres of perennials stretching as far as the eye can see, as a landscape designer, I am designing more “layered” landscapes. Including evergreens, conifers, woody shrubs, bulbs, and annuals, in a design ensures an interesting landscape to give multi-season interest. I love perennials, but I am definitely seeing more varieties of woody shrubs and conifers at the trade shows. Layered means using a greater variety of plants, so you can have many things going on at once to enjoy in the garden. Multi-season interest is a over-used garden trope, but one that has instant recognition and conveys an idea with a purpose. Leaving dried and spent stems in the garden to enjoy in the winter is part of all season gardening. Underplanting small trees which are limbed up with bulbs, perennials, and annuals, mingling allium bulbs into plantings are all techniques that I use to get a layered effect. The statistics are bad. Half of all pet deaths over the age of ten is due to cancer according to the National Canine Cancer Foundation. Pet owners are waking up to this and using less toxic chemicals around their loved ones. New organic pesticides are becoming available to the home owner who tends to apply more pesticides per acre than farmers! A new one called Spinosad, an organic substance found in soil from an old rum distillery (no, I am not making this up! ), can be used on outdoor ornamentals, lawns, vegetables and fruit. Produced by fermentation, Spinosad kills chewing insects when they ingest the chemical within one to two days. Even better, it will not persist in the environment. Spraying in the early evening hours, means that the spray will dry and won’t harm my honeybees. Organic lawn sprays and chemicals are becoming the norm, rather than the rule. Pet Scaping is just landscape design with your pets in mind. Where to set your designer dog house or doggie ranch and what landscape specimens to plants around the dog house for shade and beautification just like your own house. How about a trickling water fountain or sprinkler next to the dog house to play in? Or a sandbox to dig in? Or straw to roll in? We are gardening with goals in mind. Planting a pollinator garden, growing hops for making beer, growing healthy heirloom vegetables, raising cut flowers, keeping the bees fed and happy are happening across the gardening world. Instead of just planting a beautiful ornamental garden, consumers are thinking: How can I use/preserve this? Go to Plant These For the Bees to check out the best way to plant for our important pollinators. Residential landscapes are no longer just grass and trees spotted into the lawn. We want to enhance our everyday lifestyles by creating relaxation or meditation areas, or watch birds and butterflies. You can make this a reality by landscaping and gardening with specific goals in mind. Wonderful post! I love the idea of petscaping. Its something people don’t think of here. Now I am full of ideas for the garden, thanks. Great, I have two dogs and aim to keep them happy while not destroying my garden! I did in the last post about warm weather and flowers blooming out of sync. Basically, you do nothing and enjoy the show when not much is going on. This was so informative…enjoyed being able thru your eyes to see what’s happening ! Are you coming to Seattle this spring to talk at the Flower and Garden Show? I so enjoyed your talk on ” Slow Gardening ” last year! No, I didn’t apply this year. Even though I got paid for doing it, the honorarium doesn’t come close to covering my costs.So, it becomes a vacation and I have big trips (Germany and Scotland) planned this year. Thanks for the comment though. It is nice someone remembered! Thanks, I am glad that it has inspired you. We need it in the grey days of winter! Great post…such wonderful trends and info. I pinned it on several of my boards! Thank you for the publicity for National Garden Bureau. There was a lot to take in here so it took me awhile. I have often wondered about the amount of cancer in dogs but mine was raised in a pine tree forest with no chemicals for most of her life. I often wondered if it could be the food though hers was mostly organic. I don’t use any chemicals anymore. Haven’t in 35 years. Wish we could wake up to that more. Dear Claire, I’m hoping to make fairy gardens with a group of students at the Emmitsburg Library next month. It looks like this could be a costly project. I have about $80.00 to work with for maybe 12 kids. I was going to ask the members of our club (Silver Fancy) to donate containers. Some friends, and myself can make some furniture and I’ll have the children paint them. I can use acorns, seashells , etc. to make bird houses and bird baths. I was thinking of only using one or two live plants and maybe some artificial plants. From what I understand some kids really like to play with the fairy gardens and so lots of live plants can’t tolerate that. I browse the dollar stores for containers, and miniatures. You never know what you will find. I also frequent Lowes and Home Depot to look at their plant selections which run around $3 for succulents, cacti, and other foliage plants. Sales at Michaels can be good. You are on the right track with using natural elements such as acorns. Dig for moss in the woods! Find bark chunks, interesting lichens, twigs, decorative rocks, driftwood, etc. These are all free just by looking. Also, keep the gardens small, as they use less stuff, say 6″ or less. Choose tough succulents and cacti as some tend to be very brittle and break. But then you can stick the broken piece into the soil to root. Good luck and I want pictures!